A relief rally swept across Asian share markets on Monday after the latest U.S. jobs report managed to impress with its strength while also easing fears of inflation and faster rate hikes, a neat feat that whetted risk appetites globally. Inflation worries faded on Friday after U.S. data showed nonfarm payrolls jumped by 313,000 jobs last month, but annual growth in average hourly earnings slowed to 2.6 percent after a spike in January. The pullback in wages tempered speculation the Federal Reserve would project four rate hikes - or dot plots - at its policy meeting next week, instead of the current three. The jobs news likewise lifted riskier currencies, including the Mexican peso and Canadian and Australian dollars, while weighing on the safe-haven yen Investors had trimmed holdings of yen last week on news U.S. President Donald Trump was prepared to meet with North Korea’s Kim Jong Un, a potential breakthrough in nuclear tensions in the region. U.S. officials on Sunday defended Trump’s decision, saying the move was not just for show and not a gift to Pyongyang. The mix of brisk U.S. economic growth and restrained inflation was a positive one for most commodities, with industrial metals and oil performing well. The dollar’s momentum from Friday eased in morning trade in Asia Monday, with the US dollar index struggling to remain above the 90 handle amid news that North Korea might hold talks with the U.S. and halt nuclear testing helped boost market confidence while a U.S. plan to institute tariffs on steel and aluminum moved forward but narrower than expected. The dollar plunged last week to as low as 89.41 but rose again after signs of a global trade war initiated by U.S. president Trump’s tariff plan on imported steel and aluminum receded. Trump exempted North American partners Canada and Mexico from the tariffs and left the doors open for other allies to be exempted as well. The news regarding a wider exemption for the tariffs added to discussions between the U.S. and North Korea of a potential high-level meeting between Trump and North Korean leader Kim Jong-un, which boosted investors’ confidence in the greenback. Any trade war with the United States will only bring disaster to the world economy, Chinese Commerce Minister Zhong Shan said on Sunday, as Beijing stepped up its criticism on proposed metals tariffs by Washington amid fears it could shatter global growth Chinese Commerce Minister Zhong Shan attends a news conference on the sidelines of the National People's Congress (NPC) in Beijing, China March 11, 2018. China Daily via REUTERS After pressure from allies, the United States has opened the way for more exemptions from tariffs of 25 percent on steel imports and 10 percent on aluminum that U.S. President Donald Trump set last week. On Saturday, the European Union and Japan urged the United States to grant them exemptions from metal import tariffs, with Tokyo calling for “calm-headed behavior.” But the target of Trump’s ire is China, whose capacity expansions have helped add to global surpluses of steel. China has repeatedly vowed to defend its “legitimate rights and interests” if targeted by U.S. trade actions. Oil markets climbed on Monday on the back of a drop in the number of U.S. rigs drilling for more production and as the U.S. economy continued to create jobs, which industry hopes will drive higher fuel demand. The U.S. economy added the biggest number of jobs in more than 1-1/2 years in February, with non-farm payrolls jumping by 313,000 jobs last month, the Labor Department said on Friday. In oil markets, U.S. energy companies last week cut oil rigs for the first time in almost two months RIG-OL-USA-BHI, with drillers cutting back four rigs, to 796, Baker Hughes (GE.N) energy services firm said on Friday. Despite the lower rig count, which is an early indicator of future output, activity remains much higher than a year ago when, when just 617 rigs were active, and most analysts expect U.S. crude oil production C-OUT-T-EIA, which has already risen by over a fifth since mid-2016, to 10.37 million barrels per day (bpd), to rise further. That’s more than top exporter Saudi Arabia producers and almost as much as Russia pumps out, at nearly 11 million bpd. Gold on Friday made its intraday high of US$1325.08/oz and low of US$1312.71/oz. Gold was up by 0.129% at US$1323.36/oz. In daily charts, prices are below 20DMA (1329) and breakage above will call for 1280-1290. MACD is below zero line and histograms are decreasing trend and it will bring upward stance in the upcoming sessions. RSI is in oversold region and more downside is expected before it gets stretched. Stochastic Oscillator is in oversold territory and giving negative crossover to confirm bearish stance for intraday trade. Based on the charts and explanations above; sell below 1324-1358 keeping stop loss closing above 1358 and targeting 1314-1306 and 1300-1294. Buy above 1320-1310 with risk below 1310, targeting 1324-1331-1340 and 1350-1358. Silver on Friday made its intraday high of US$16.67/oz and low of US$16.34/oz. Silver settled up by 0.851% at US$16.58/oz. On daily charts, silver is sustaining below 200DMA (16.82), breakage above will lead to 17.25-17.70. MACD is above zero line and histograms are increasing trend and it will bring bullish stance in the upcoming sessions. RSI is in oversold region, indicating buy signal for now. The Stochastic Oscillator is in neutral region and giving positive crossover to show upside move for the intraday trade. Based on the charts and explanations above, buy above 16.50-15.00 targeting 17.00-17.75 and 18.20-18.60; stop breakage below 15.00. Sell below 17.00-18.20 with stop loss above 18.20; targeting 16.20-15.60 and 15.00-14.50. Crude Oil on Wednesday made an intra‐day high of US$62.04/bbl, intraday low of US$60.07/bbl and settled up by 2.971% to close at US$62.02/bbl. Based on the charts and explanations above; sell below 62.20-64.95 with stop loss at 65.00; targeting 61.50-60.50 and 59.90-59.00-58.60. Buy above 61.50-59.90 with risk daily closing below 59.50 and targeting 62.20-62.70 and 63.10-64.00-64.95. EUR/USD on Friday made an intraday low of US$1.2272/EUR, high of US$1.2333/EUR and settled the day down by 0.0243% to close at US$1.2307/EUR. On daily charts, prices are sustaining below 100DMA (1.1700), which become immediate resistance level, break above will target 1.1750-1.1800. MACD is below zero line but histograms are increasing mode which will bring bullish view. Stochastic is in neutral territory and giving negative crossovers to signal for bearish outlook for intraday. 14D RSI is currently approaching oversold region and giving wards directions to consider buy. Based on the charts and explanations above; sell below 1.2390-1.2600 targeting 1.2300-1.2210 and 1.2160-1.2090 with stop-loss at daily closing above 1.2600. 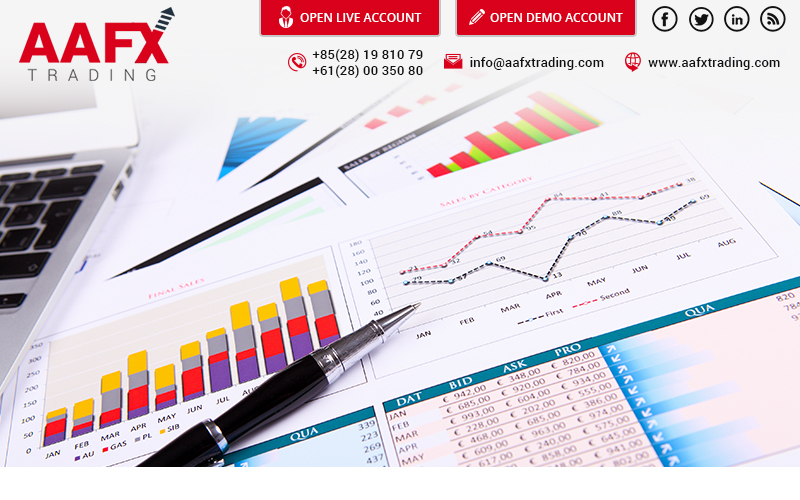 Buy above 1.23000-1.2090 with risk below 1.2090 targeting 1.2450-1.2520 and 1.2571-1.2600. GBP/USD on Friday made an intra‐day low of US$1.3787/GBP, high of US$1.3888/GBP and settled the day up by 0.347% to close at US$1.3853/GBP. On daily charts, prices are sustaining above 50DMA (1.3431) is become major support level. 14-D RSI is currently in neutral region and direction is difficult to predict on RSI bases. The Stochastic Oscillator is in neutral territory and giving negative crossover to confirm bearish stance. MACD is below zero line and histograms are decreasing lead to downward movement. Based on the charts and explanations above; short positions below 1.3900-1.4150 with targets at 1.3855-1.3800-1.3765 and 1.3700-1.3620. Buy above 1.3855-1.3620 with stop loss closing below 1.3620 targeting 1.3900-1.3950 and 1.4070-1.4150. USD/JPY on Friday made intra‐day low of JPY106.15/USD and made an intraday high of JPY107.04/USD and settled the day up by 0.593% at JPY106.80/USD. Sell below 106.70-109.00 with risk above 109.00 targeting 106.00-105.50 and 104.90-104.20. Long positions above 105.50-104.90 with targets of 106.00-106.70-107.50 and 107.90-108.45 with stop below 104.90.